A week ago, Apple sent an email to developers announcing that it would require two-factor authentication for all developer accounts beginning February 27, 2019. The message linked to an Apple two-factor authentication support page that applies to all Apple IDs. The trouble was, the support page didn’t answer many of the developer-specific questions that were immediately raised. The support page concludes with a link to a contact form for Apple’s developer team to raise any other circumstances that prevent a developer from enabling two-factor authentication. Although it would have been better if this level of detail was published when Apple’s initial email went out to developers last week, the company has clearly heard the concerns raised by the developer community and has put together a thorough explanation that should address most situations. By answering the most common questions, Apple Developer Relations will hopefully be freed up to deal with any outlier issues that aren’t addressed in its support documentation. This feature was announced back at WWDC in June but has only just started showing up for developers inside the App Store Connect interface. Previously to public links, developers had to manually ask people for email addresses and then send out invite in emails to each person individually. As someone who's routinely testing dozens of apps for review purposes, this sounds a lot more convenient than the current email-based invitation system, both for developers and users. By default, developers don't see the names and emails of users who sign up with a link. I have a feeling this option is going to be frequently used for public betas with large pools of testers. The Swift Playgrounds fantasy of what ARKit is like is closer to an ad than a tutorial. I’ve actually worked on an app using Apple’s ARKit and SceneKit APIs directly. I got stuck when my API call to Apple’s sound playback system wouldn’t work, despite all my best efforts at debugging. 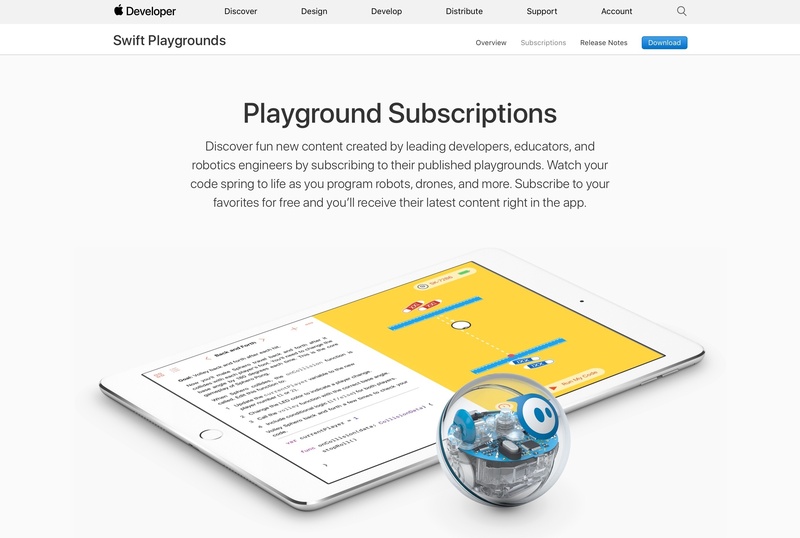 Writing software with Apple’s APIs is a powerful but difficult practice, and Swift Playgrounds’ penchant for hiding true complexity makes it hard to recommend for someone who doesn’t want to just “learn how to code” but instead wants to build something. Apple would do its learners a huge service by providing them an Xcode equivalent on the iPad. Not because it would suddenly be easy to make applications and release them on the App Store, but because it would give iPad-bound learners a chance to engage that challenge and grow into true application developers in time. I agree with Miller. I've been crossing my fingers for an iPad version of Xcode ever since the first-generation iPad Pro in late 2015. From aspiring programmers who would have a chance to see their creations on the iPad's Home screen (without using a Mac) to developers who could create commercial iPad software on their own iPads, the iPad needs Xcode. If coding is as important as learning a language, the lack of Xcode for iPad is like not having a keyboard to express our thoughts. 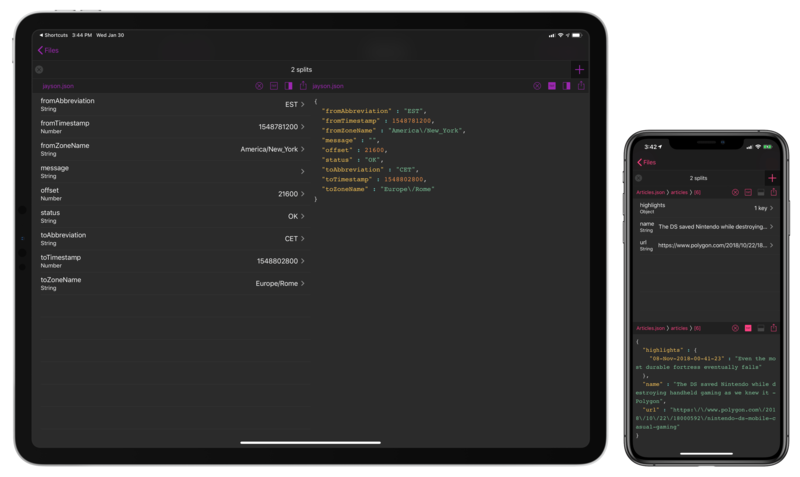 In a series of tweets yesterday, one of the developers behind Codea announced that a new version of the iPad coding app had been approved for release, and this update would enable code sharing for the first time. Previously we covered the revised App Store guidelines that now permit downloading and executing code inside of apps, but we haven't seen those changes put into practice before now. With version 2.3.7 of Codea you can now import projects from both .zip files and .codea bundles, making it easy to share code with others. We’ve been trying for six years (six!) to allow code sharing on iPad. So glad Apple has updated their policy now. Although Codea is the first prominent adopter of features made possible by Apple's newly-granted permissions, it certainly won't be the last. Other notable programming apps and IDEs like Pythonista and Continuous can follow suit as they so choose. These policy changes, combined with Apple's own entrance into iOS coding via Swift Playgrounds, all of the sudden make iPad a much more attractive programming environment than ever before. One excellent example of the power of coding on iOS is a game called Starsceptre. 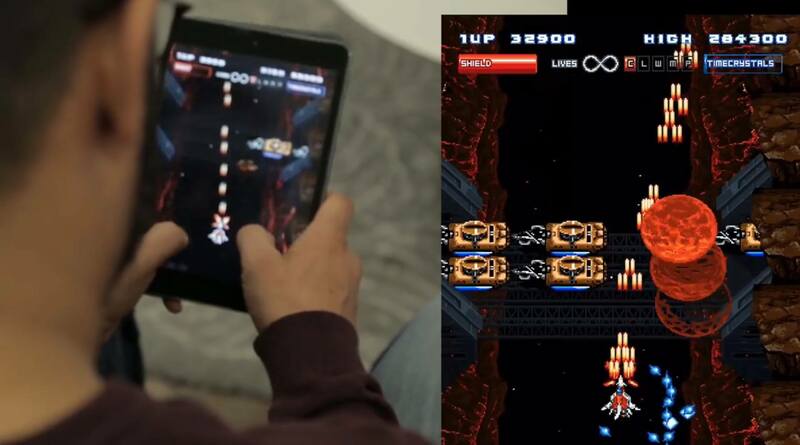 Starsceptre is a retro-style arcade shooter that was coded entirely on an iPad using Codea. Creator Richard Morgan wrote the game primarily during his daily commute on a train. “My work commute is basically the only spare time I have, so I needed a way to make games in that time – on the move, on my iPad." The game's trailer is embedded below. With the less restrictive new App Store policies on coding, and the upcoming power user iPad features in iOS 11, hopefully we will see a lot more examples of apps coded entirely on iPad going forward. Apps designed to teach, develop, or test executable code may, in limited circumstances, download code provided that such code is not used for other purposes. Such apps must make the source code provided by the Application completely viewable and editable by the user. The change to the guidelines is limited, but it’s an important signal to third-party developers that Apple will accept certain educational apps and developer tools on iOS, which brings the promise of app development on iOS one step closer to reality.